Trying to save money while visiting Greece and looking for the best hostels in Athens? While there are quite a few to pick from not all Athens hostels are created equal. 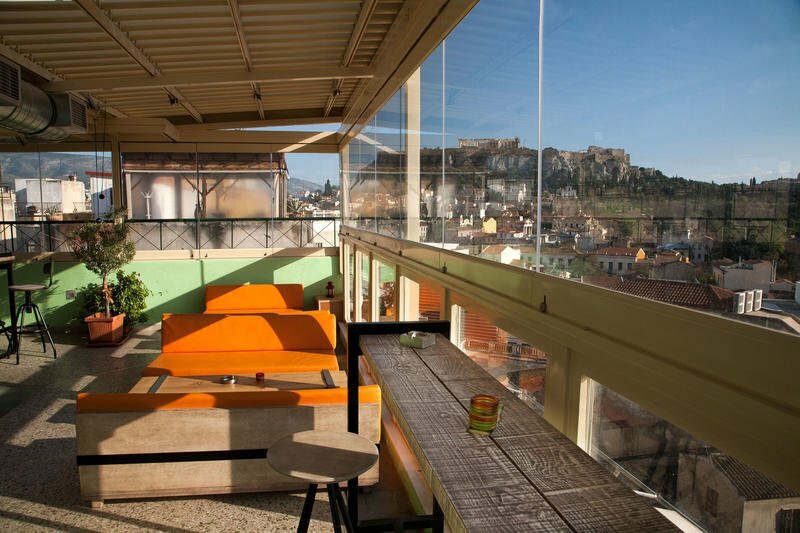 We’re here to help you choose the best Athens hostel for your visit to Greece’s capital! Athens. Capital of the ancient world. Home to Gods and Goddesses, art and architecture spanning thousands of years, unique cuisine, unbeatable landscapes, and notorious nightlife. Athens is a city so deeply steeped in history and culture that it takes the breath right out of your lungs. For obvious reasons, Athens in a tourist hot-spot. Hundreds of thousands of vacationers, backpackers, and budget travelers flocking to Athens every week to experience the ancient sites, classical ideas and burgeoning social scene for themselves. When it comes to hostels and hotels you’re spoiled for choice in Athens. There are accommodation options in Athens to suit every kind of budget, from apartments, to luxury hotels, to more affordable hostel options. Finding cheap accommodation in Athens shouldn’t mean you have to sacrifice comfort, cleanliness or atmosphere – so we’ve compiled a list of the best hostels in Athens which tick all of the boxes. 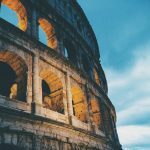 We have put together this list based on what we personally expect out of a great hostel in Athens. Clean rooms, comfortable dorm beds with power outlets, secure luggage storage, friendly atmosphere that encourages interaction (but doesn’t force it), and a communal kitchen are all super important aspects for Athens hostels in our eyes, and we prioritize them when suggesting a place to stay. All of these are factors when it comes to making our selection of the best hostels in Athens. Have a gander at the Athens hostels below, and as always, safe and happy travels! See you guys on the road! City Circus Athens is highly praised for its superbly central location, cleanliness, and attentive and amicable staff. Decor and murals painted on the wall give the hostel a stylistically retro feel. Offering a 24 hour reception service, bike rental and multiple organized tour options – it’s no wonder City Circus claims a place on this list as one of the best hostels in Athens. Located in the Psirri neighborhood, known for its buzzing nightlife, this Athens hostel is surrounded by places to eat, drink and dance the night away. The Acropolis and Parthenon are reachable in 15 minutes on foot. However, if you wish to avoid walking in the stifling summer heat, the metro station is just 4 minutes away. Dormitory and private rooms are available, each option promising an exceptionally comfortable bed and a secure locker for each individual. 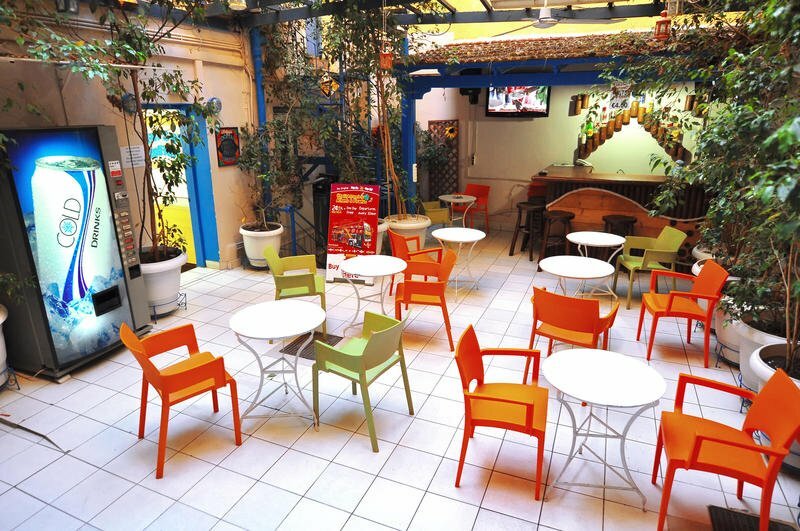 Multiple common areas make it easy to spark up conversations with fellow travelers while staying at this Athens hostel. When you’re done sightseeing and socializing, chill out with a book on the rooftop terrace, or caffeinated yourself for the night ahead in the cafe/bar area. If you’re hoping for a social hostel experience, City Circus offers a weekly organized bar crawl, daily happy hour and even tsipouro (a traditional Greek brandy) tasting nights. 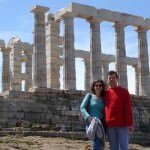 If that’s not enough to keep you entertained during your trip to Athens, why not ask the staff about their daily tours to Delphi and the surrounding Greek islands. Steadily voted one of the best hostels in Athens, Athens Backpackers is ideal for travelers looking for a social hostel that provides lots of opportunities to party and socialize. Australian owned – this Athens hostel definitely embodies the Australian party spirit. It hosts daily events such as quiz and karaoke nights, bar crawls and an on site sports bar screening live matches. Social events provide an environment that makes it impossible to feel alone as a solo traveler, and you’ll find yourself with countless new friends by the end of your stay. Despite being highly praised for its atmosphere and staff, Athens Backpackers doesn’t lose points when it comes to cleanliness and facilities. 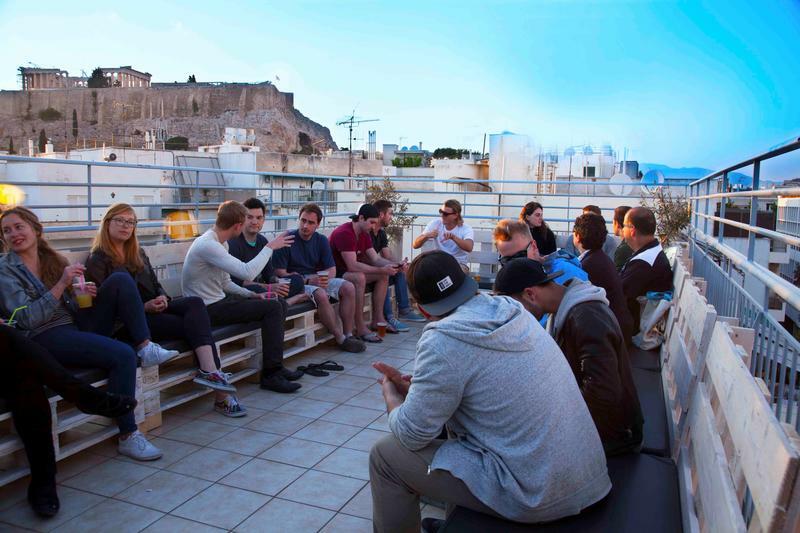 Communal kitchen, rooftop bar and organized walking tours are just a few of the extras Athens Backpackers has to offer. As if this isn’t enough, this Athens hostel is located right next to the classical centre of the city. You won’t find a more convenient location for discovering Athens on foot. Less than a 5 minute walk away you’ll find the breathtaking Acropolis, the Arch of Hades and the Temple Zeus. That’s all pretty great, making this one of the most central of all the great Athens hostels. Consistently well-rated for it’s excellent atmosphere, friendly staff, and convenient location, AthenStyle is one of the best hostels in Athens. AthenStyle is located in Psirri, a neighborhood renowned for its nightlife, as well as an emergent artistic and social scene. The majority of Athens’ main historical attractions are within walking distance – ideal for those wanting to discover the city on foot. This Athens hostel offers dormitory, family and private rooms – all with a reasonable price tag. You can also find a basement lounge containing a home cinema, pool table and the occasional art exhibition housed in the building. A relaxed, community feel is what makes AthenStyle unique and truly one of the best hostels in Athens. The covered rooftop bar and restaurant, open all day, is a highlight, and offers a 360 degree view of the city’s sites, including the Acropolis, Lycavettus and Filopappou Hills. Watch Athens light up over your morning coffee, explore, and then come back to watch it fade into darkness with a cocktail in your hand. So if you’re seeking a hostel with a social atmosphere that doesn’t compromise cleanliness and customer service, AthenStyle is surely one of the best hostels in Athens for you. This Athens hostel is perfect if you’re looking for a quiet and relaxed place to stay amidst this bustling city. Athens Quinta is consistently praised for its excellent location, passionate staff and immaculate facilities, making it one of the best hostels in Athens. Athens Quinta offers smaller sized rooms, with dorms of 6 or 3 people, as well as twin private rooms – making it the perfect place to meet fellow travelers to explore the city with. The hostel provides air-conditioned rooms, secure lockers and even a laundry service. If you’re still not sold, this Athens hostel also offers free breakfast, and unlimited coffee, tea and snacks throughout the day. The staff are praised for being helpful and accommodating to guests requests. This quaint Athens hostel is located in an artistic area brimming with trendy bars, restaurants and boutique shops. 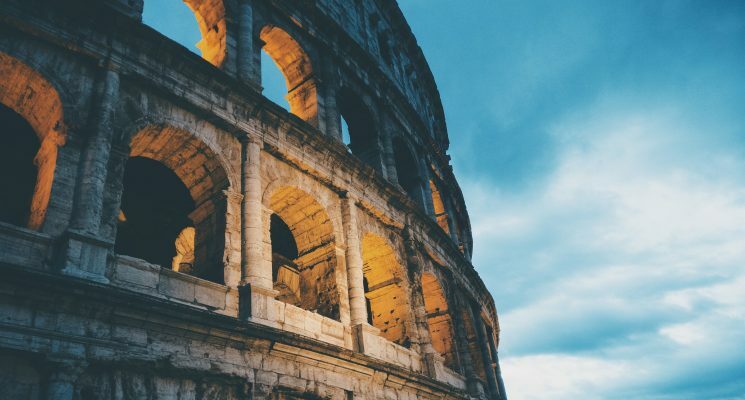 The city’s most popular attractions, such as The Acropolis and The Parthenon, are in walking distance and the closest metro station is only a 2 minute walk away. Staff here are more than happy to give you their personal recommendations and advice on what to see and the best routes to take. So, if you want to find a cosy home away from home at one of the best hostels in Athens, we highly suggest you book a room at Athens Quinta Hostel. Pella Inn is, in our opinion, one of the best hostels in Athens because of its location and atmosphere, making it a great choice for your first time in Athens. 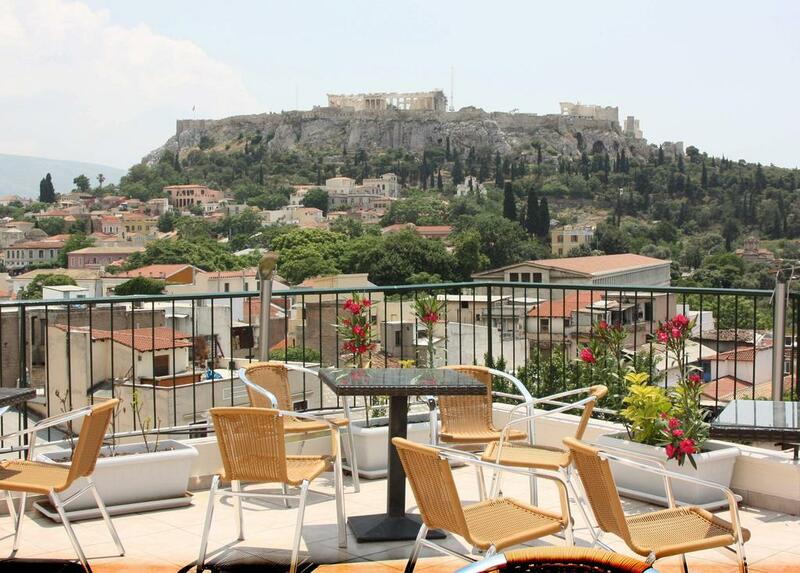 Guests particularly love the rooftop bar which offers spectacular views of the Acropolis and the sprawling city of Athens. 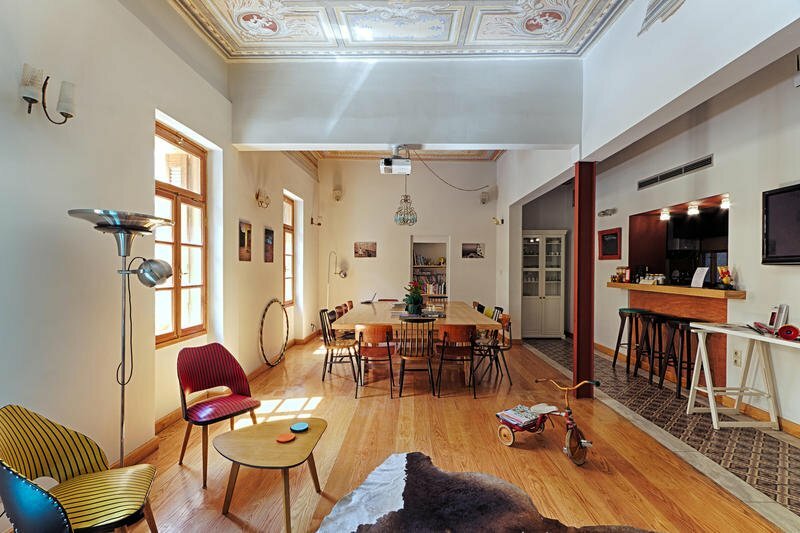 A major selling point is the fantastic central location of this Athens hostel. Situated just 2 minutes from Monastiraki Square, you’re sure to find a few bargains at Athens’ famous flea market. Museums, theaters and the city’s top historical attractions are all within walking distance. The area is also well-served by public transport, with metro stations and bus stops all close by. It should be noted that dorm rooms in this Athens hostel are only available to those under 50 years old, but there are private rooms available for the more wizened traveler. 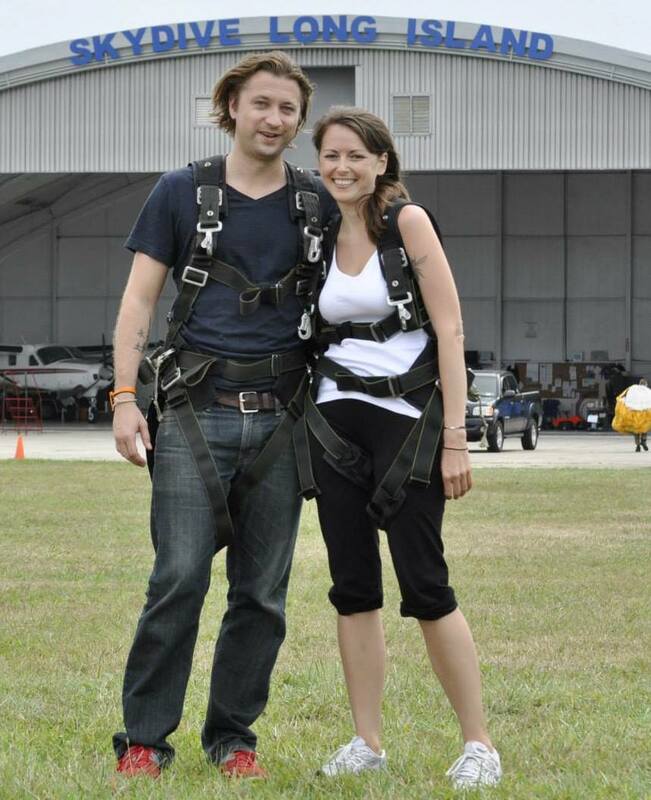 Rooms are air-conditioned and immaculately clean, and secure lockers are available for rent. 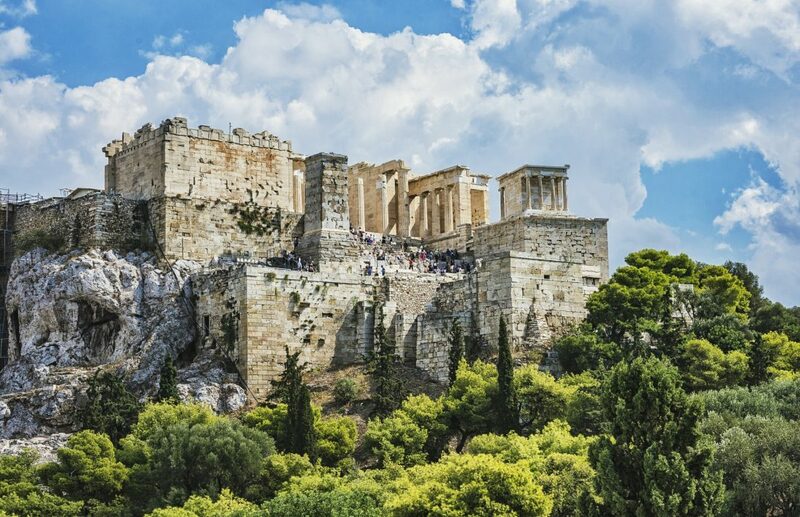 If you’re ready to explore, Pella Inn offers a free walking tour with an extremely knowledgeable guide, as well as daily trips to islands close to Athens. We highly recommend this hostel for the exceptionally helpful staff, convenient location and faultless facilities. Unbeatable location, knowledgeable staff, and facilities that cater to your every need – there’s no question why Student and Travellers Inn is one of the best hostels in Athens. Rooms are cosy, with dorms for 4-8 people. Air conditioning, safety lockers and free towels are added bonuses when you purchase your bed at this great Athens hostel. Breakfast is available for a reasonable price, and we highly recommend it for the excellent coffee and fresh ingredients. The rooftop garden bar is the ideal place to swap travel tales over a cold beer at the end of a long day of touring the city. 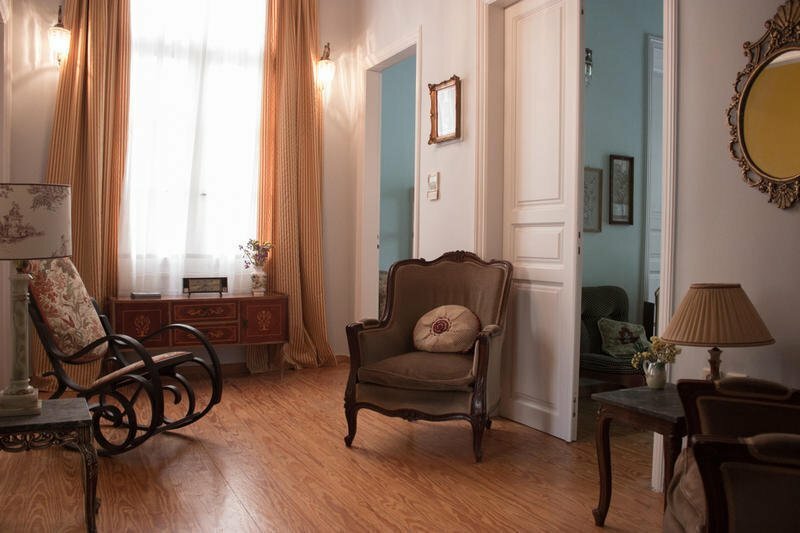 Located on Kydathineon street in the Plaka region of Athens, this Athens hostel is surrounded by charming coffee shops, museums, galleries and shops for all your basic necessities. You can walk to The Acropolis and Ermou shopping area in 10 minutes. Students and Travellers Inn has an amazing atmosphere, shaped by the staff who go out of their way to create a friendly and social environment, and to provide guests with all the information they need. With 24/7 reception, and an on site travel agency for booking day trips and buses, there’s always someone who will gladly help you to navigate your way around this crazy city. And there you have it folks, our list of the best hostels in Athens. We hope we were able to help you guys pick the perfect place to stay out of all the Athens hostels out there. As always, happy travels, and we’ll see you on the road!